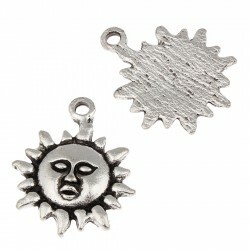 Sun pendant made of zinc alloy. Sun-shaped bead, antique silver colored, ideal to mount bracelets or necklaces. 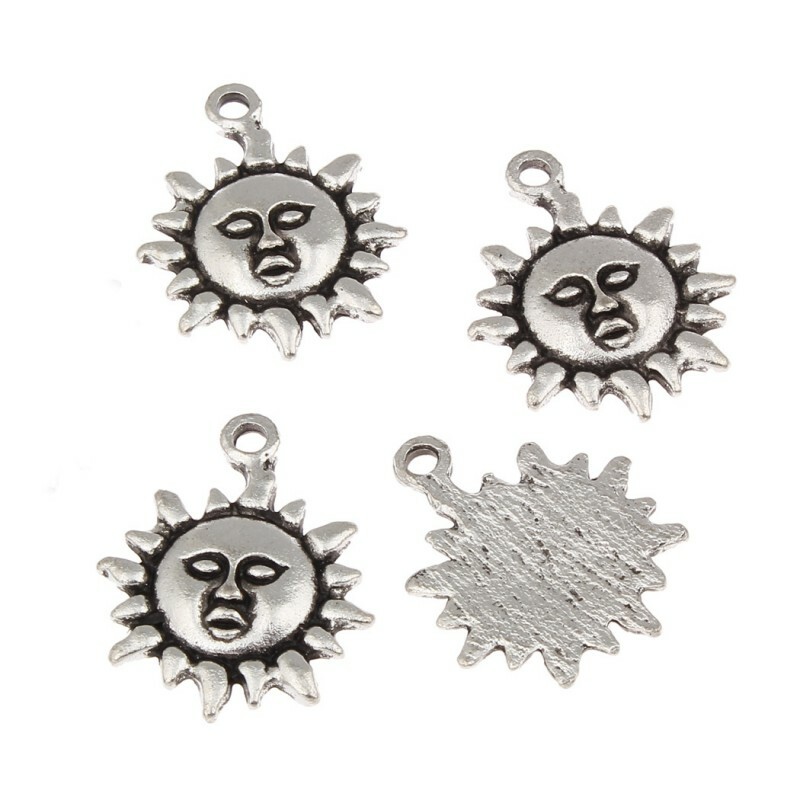 Size: 18 mm x 23 mm x 2 mm and 1.5 mm diameter hole. Presented in a 20 grams bag with about 10 pieces.